Pastor appreciation letters are a great way for individuals and the church, as a whole, to show their love and appreciation to their pastor. Sending your pastor appreciation letters to the people in your church is also good way to increase your church membership and activity during Pastor Appreciation Month. One very effective means of retaining and expanding membership, is through church letters, specifically personalized letters to individuals. Expressing an authentic sense of sincerity is very important when writing an effective church letter. Begin by explaining the purpose of the letter and offering thanks, condolences, etc. This way your pastor will clearly understand the message you are sending. 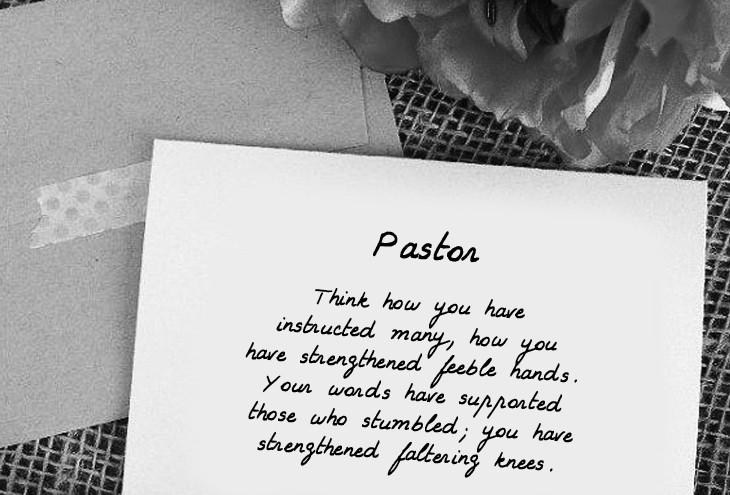 Pray for your pastor in your thank you letter. 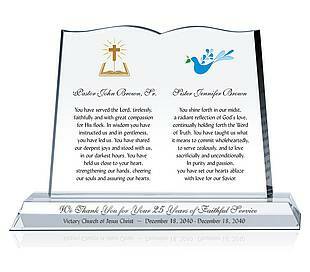 This is a beautiful way to honor and bless the work he is doing for you and your church. Hand write your letter for a personal touch. A handwritten letter always beats out any font, though you might not think it looks as nice a typed note. 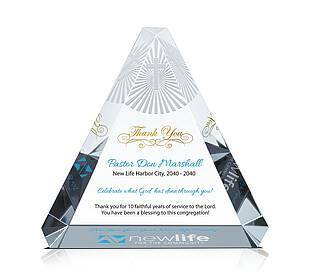 Handwriting your letter is a great way to create your own personalized pastor appreciation gift, and will show your pastor the thought put into your gift. Don't forget to also show your appreciation for the pastor's wife and family in your thank you letter. They sacrifice from their own lives as well to provide your pastor with the support he needs to serve your church. When concluding a pastor letter, be sure to offer the assistance and support of the church in the matter at hand. 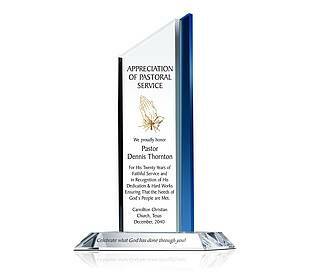 Dear Apostle Dr. Eriq T. Harris, Sr. I wrote these few words mainly to tell you thanks. Pastor, I also must tell you here that we love you. See this letter is not just from me, these words reflect the caring, love, and sentiments of the entire body. We are glad to be here, and we are fortunate to be fed from the table God has prepared for you to feed His people. We also know that you love us. I wanted to write you to wish you a happy Pastor Appreciation Day. I hope you, your family and friends will enjoy your special day together. We want to wish you a happy Pastor Appreciation Day! 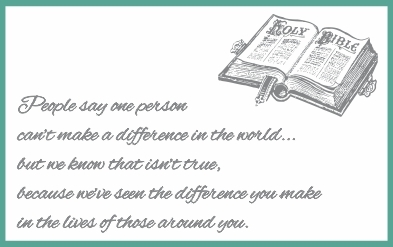 People say one person can’t make a difference in the world... but we know that isn’t true, because we’ve seen the difference you make in the lives of those around you. Thank you for your support, and thank you for encouraging change in our community. The important thing of the pastor appreciation letter is that let your pastor know that the role they serve makes a huge different in your and others live. If you don't know how to express fully your appreciation and love to your pastor in the appreciation letter than these pastor appreciation quotes or poems blewed may help you highlight your Pastor Appreciation Day letter. 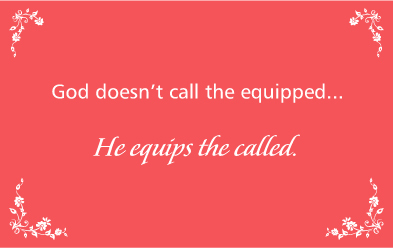 Pastor, we forget that there are times when you may have been tired, yet, you never failed to show up when we would call. You never missed a meeting with us. You never failed to show up to counsel or console us when we suffered the loss of a loved one, or when we had trouble in our homes. You never ceased to speak courage and strength to our souls, in the midst of our situations, because you trusted God, and taught us to do likewise.You never told us to call you back when you were busy, but made time, or took the time out of your agenda to give us what we needed from you. Pastor, we love you, and we again apologize for not recognizing the gift of God, that we have in you. So we decided to not wait until Pastor's Appreciation or any other special occasion, to tell you how we feel. You whispered, make you thy cup and let your fullness be for thee and for thine. Pastor is the moon who has her light all over the sky, her dark sports to herself. When I stand before thee at the days end thou shalt see my scars and know that I had my wounds and also my healing.